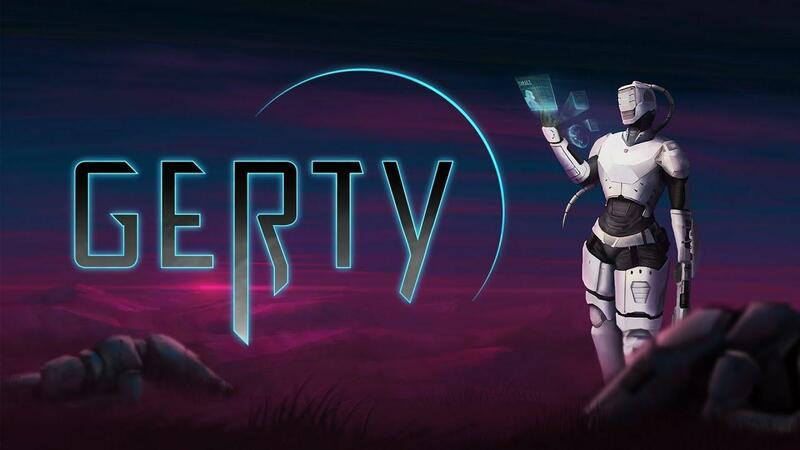 Spawn Point OSK have just released their rather good sci-fi shooter Gerty, we've had a hands on with it for a while and it's impressive. Note: Key provided by the developer. A game we've mentioned before a couple of times, as it was rather interesting. While it's true that we have a lot of these 2D shooters, Gerty feels very different. While the story is pretty basic sci-fi stuff, with some colony becoming under attack by hostile alien forces you're sent in to deal with it. Nothing overly new or unique there, it's the gameplay that really shines. The main hook with Gerty, is that you've literally no idea what you're going to face. In a 2D game, where you have a viewpoint that's pulled back quite a bit it's something that can be quite difficult to achieve. What they've done is interesting, you only has a small area around you which you can actually see and both you an enemies can dig through the terrain. It leads to some interesting situations, where you're focused on what's in front of you while a group of aliens are digging their way to you from behind. It can become pretty frantic and I like it quite a lot. As you progress, you will be able to gain new perks and some of them are quite useful. Adding projectiles to bombs, dropping a small explosive present when you do a dodge-roll and so on. There's a lot of replay value, depending on what you pick as you progress. That's amplified by having multiple characters too, some which need unlocking. Choose between 4 different characters all with unique skills and style of play. Further customize your character during your run with perks and purchasable gear. It offers single-player, along with local co-op so you can team up with friend to take on the alien menace together. The developer, Spawn Point OSK is a co-operative founded in Oulu, Finland in September 2014. They previously published Xenocide (2015) and Army of Squirrels (2018), with Gerty being their first developed title. Given how much I've enjoyed playing it, I'm keen to see what they add during their time in Early Access. Their current plan is to remain there between 6-12 months depending on the kind of feedback they get. Gerty has already had four years of development and it shows, it's already quite polished. You can pick up a copy of Gerty now from Humble Store (DRM free + Steam key), itch.io and Steam.